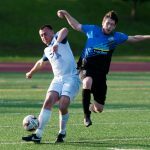 It is hard to win games in the NPSL, harder than in most leagues, because of a mixture of talent parity and roster unpredictability unique to a summer league reliant on college-aged and recent post-college players who are not being paid to play. Couple that with a short season in an extremely compact time frame and it feels a lot like tournament soccer. Surprise results happen in any competition. It is just that here the surprises are more regular and, given the length of the season, have more lasting impacts. Thus, the hidden secret to success in the NPSL is revealed. It is grit. Determination. Will. Whatever you call that ineffable quality that inspires groups of people to believe in each other and in themselves no matter the odds. That is what makes the difference. Right now, the clubs at the top of the table have it. If anyone is going to knock them off of their perch, they are going to need to find it. Alex Ganeev Photography / VSLT beat Duluth in Duluth. All hail VSLT, the current Kings in the North. Los Viejos have been the definition of grinders, and in many ways remind me of Greece at Euro 2004. They are rugged and hard to beat, they have a mobile target forward (and also the lightning fast winger Mark Boquin), and they just need one goal to beat you. The only blot in their copybook is the 5-1 demolition by Minneapolis City but, even with that result, if they are able to beat Duluth in St. Paul on Saturday they will be 9 points clear of third place with just 5 games to go. Compared to last season, the Sky Blues have improved results against Med City and Dakota Fusion. Last year, they lost to Duluth in St. Paul courtesy of some last minute heroics by the visitors. With Duluth still smarting from a taste of their own medicine the last time these two met, Saturday is going to be a defining game for both clubs. Until they are knocked off the top spot (in points), they are top of the Power Rankings. A gritty win in Rochester on Saturday has the Crows top of the table in points per game, but still two points behind VSLT, albeit with a game in hand. Unluckily for City, that game in hand is against nemesis club TwinStars. With a win, Minneapolis City are seven points clear of third placed Duluth. With a loss, it is just four points and gone is the game in hand. There has been talk of a few statement games for City so far this season, but those pale in significance to the statement opportunity on Thursday. They pale in significance not just because of the opportunity in terms of the title, but because of the gamesmanship and politicking that TwinStars were able to do to get the game moved back from May in violation of the NPSL’s own rules. Can the Crows be spooked? We will see on Thursday. Compared to the results in last season’s same fixtures, the Crows are the most improved so far. They have beaten Med City home and away (+3 points), Dakota at home (+3 points), drawn at Duluth (+1 point), and matched their away win against VSLT. While they dropped two points at Sioux Falls, they are still +7 points compared to last year. Can they keep it up to end the season? They will have to if they are going to keep pace with VSLT. The TwinStars are a welcome surprise. Chase Wright has been on form, highlighted by his hat trick against Dakota Fusion, and the Dragons have the players and the coach to make a run for the playoffs—and maybe even the title. They are capable of the occasional stinker, as their 3-1 defeat to Med City illustrates. When their 3-5-2 formation, with a free role to Karim Darbaki and Wright hanging off the last defender and not even thinking about defending, works, it really works. With the Division 1 talent in this side, it makes sense that TwinStars would be in this position. 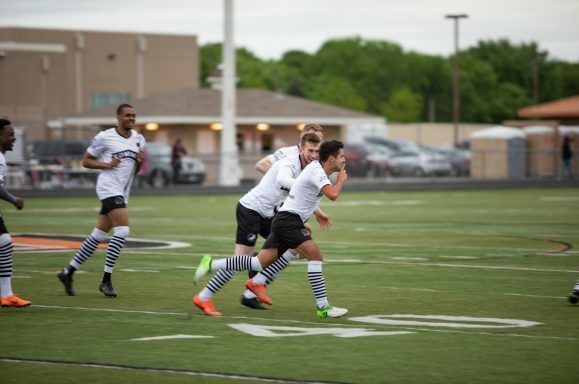 It is especially helpful for TwinStars to play Minneapolis City on Thursday and not in May, when all the college players were not back, though it makes a mockery of the NPSL league rules to allow it happen in this single case, for a club run by a Board Member. Having only played six games it is hard to peg where the Dragons should fit, not least because they still have to face Minneapolis City twice, Duluth away, Med City away, VSLT away and Dakota away. Can they continue their dominance over Minneapolis? Can they get results on the road in a series of must-win games? It all starts now with a very busy week: Sioux Falls on Wednesday, Minneapolis City on Thursday, and at Med City on Saturday. By Sunday, we will know if they are contenders or just spoilers. / Can a healthy Kyle Farrar turn around Duluth’s season? You can never count Duluth out and, though their “premier” win to date is against 6th placed Dakota Fusion and they are at risk of getting cut loose from the leaders, they still have a level of control over their own destiny. If they can beat VSLT in St. Paul on Saturday, that is. With Kyle Farrar back from injury and British pair Sean Morgan and Tom Corcoran seemingly back in favor with the manager, now could be the time for the Lake Superior side to start to rack up the wins. After all, they have only two remaining games on the road, no more U.S. Open Cup distractions, and we have seen teams wilt before in this conference and it could happen again. Compared to last year, Duluth just are not the same. In some ways that is a positive. They play a much more positive, proactive, and less yellow carded style and it makes them much better to watch. But, they are sinking, at least in the Power Rankings. 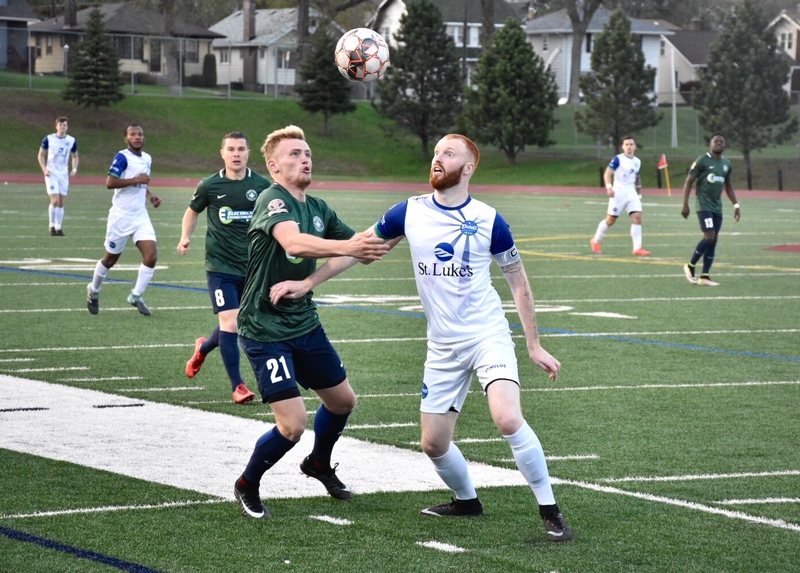 Beaten by an injury time VSLT goal, a Duluth trademark last season, and dropping points compared to last season against Med City, Dakota Fusion, and Minneapolis City would be enough to torpedo other teams’ playoffs ambitions. The return of Farrar, such is his ability as a player, and the British Brigade playing again may just turn this around. That said, Saturday’s game is critical. Win, and they are within three points of VSLT with 5 games to play. 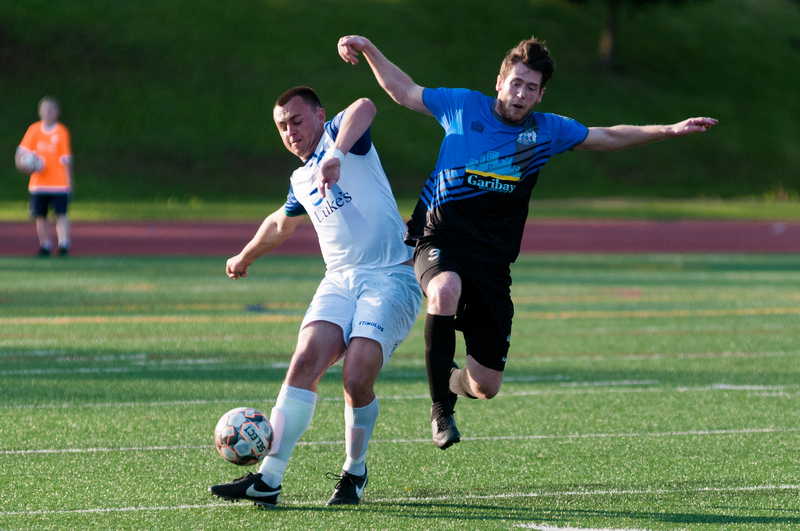 Lose, and, while they can still make a charge for the playoffs, they will not be in control of their own script, and will spend Sunday sitting nine points back of VSLT and as many as 10 points back of Minneapolis City. There is still a whole lot of fight in this team and, while their loss to Minneapolis City last Saturday likely scuppered their title chances, they themselves know that a late swoon by the conference leader is possible. If they can get over the City loss, they are well positioned to be in the mix if one of the top two loses momentum. The Medics are a good side, they possess the ball well, and have a strong striker, but they have not been able to match the two up consistently enough against teams that can stymie their forays down the wings. They are going to have to solve that to get maximum points in the home stretch. Still, theirs is a relatively easy home stretch and that is where the hope lies. They host TwinStars on Saturday, on what will be the third game in four days for the Dragons, they host VSLT as they look to avenge their 1-0 loss in St. Paul, they host a Dakota Fusion team that just does not travel well, and, while they go to Duluth on the final day of the season, picking up points in the games before may just make that game a “win and you’re in” opportunity for the Medics. They need other clubs to do them some favors, but there is no reason that they will not pick up 12 points plus whatever they can get from VSLT and Duluth. Two wins? 18 points from the second half? Well now, as MNUFC Twitter would say. They are down but absolutely not out. Unfortunately for the Fargo-Moorhead side, they are out of the title and playoffs picture. It may not be mathematically so, but with nine points from eight games and away trips to VSLT and Med City, not to mention the final day visit of Minneapolis City, it is time for the Fusion to start building for next year. It was the away days that did in the Fusion. 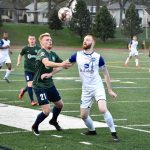 They were smashed on consecutive weekends by Minneapolis City and Minnesota TwinStars and, again, were unable to get a result at Duluth in a close game. While they are more formidable at home, VSLT was able to sneak a draw where last season they lost, and in a must-win game against Med City neither side were able to score a goal. Last season, they struggled with a leaky defense but were able to make up for it because of Golden Boot winner Jade Johnson’s goals. This year, they still have that same leaky defense but the goals just are not happening for Johnson or the Fusion. A disappointing season all around, but there is always next year. Sioux Falls started the season a week earlier than anyone else and used that time well. A 40-yard fluke of an equalizer pegged back Minneapolis City 2-2. Following that with a big win at Aris put them top of the table, but it has been all downhill from there. Sioux Falls are not a bad side. They have been able to score consistently, but the defense has proven vulnerable. Though they have kept games close, there is always a sense that the Thunder will find a way to throw away a lead or otherwise self destruct. As they drift toward another 7th place finish, it is time to ask about the future of this team. Do they have the means and talent to be more than an also ran? La Crosse are much improved from last season. They are a young team, but they have added pace and just generally better players to last year’s team. Still, watching them feels like watching a speedy and technical U11 team play against U15’s. You feel like the players may eventually be decent, but the U15’s do not have to get out of first gear to win the game because they are faster, bigger, more seasoned, and just better. It is nice to see improvement and progression, but it is clear that the NPSL is not the right league for what Aris is trying to accomplish as a club.